A balanced diet is an important thing. In spite of the health consequences of eating fish, many types of fish contain some nutrients that are beneficial for the body. Fish is high in fat, but many types of fish are high in the healthier types of fat. 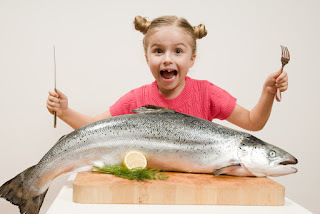 Fish is also high in a wide variety of proteins, some essential and some not so healthy. The way you prepare your fish will be the biggest determinant of whether it is a beneficial part of your diet or a detractor of health. The following is a brief analysis of some common ways of preparing fish and related health decisions you’ll need to make when following fish recipes. Baking is one of the better health decisions you can make when choosing fish recipes. Fish fillets and whole fish can be made with much less fatty oil when they are baked than when they are fried. Plus, the fish can be prepared with the same seasonings you enjoy when cooking the fish using other methods. If you put the fish in foil, you can bake tender, flaky fish without adding any oil to the fish. Grilling fish is another of the better health decisions you can make when cooking fish recipes. In fact, you can use the same exact methods for grilling fish as mentioned above for baking fish. Season the fish. Put it in some foil. And throw it on the grill for some great tasting, tender, crispy grilled fish. Add a little olive oil to the fish if you want to tweak the flavor a little, but keep in mind that olive oil is also fatty. The health benefits of poached fish will depend on what type of liquid and ingredients you use to poach your fish. You’re better off going with grape juice or lemon juice as your base than cream or milk. Add some healthy herbal seasonings to make some great tasting, healthy fish. For some people, fish that isn’t fried just isn’t good fish. If you’re one of these people, you’ll need to work on finding a healthier way to prepare fish that is still delicious. Fried fish, and particularly deep fried fish not only contains a load of calories, but of unhealthy, highly oxidized oils. Try some of the cooking methods above and experiment with a wide variety of seasonings. Whichever of the above methods you use to prepare your fish recipes, try to make it as enjoyable as possible. Think of experimenting with healthy seasonings and preparation methods as a cooking adventure. Remember that if you prepare fish with the healthiest possible ingredients, fish can be tasty and nutritious, while satisfying your hunger in order to help you with weight control. Having said all of that, one of the nice things about following fish recipes is that most of them are quick and easy. It only takes about a half hour to cook fish and prepare a healthy salad. Learning to eat like this will not only help you to lose weight and keep weight off, but to live healthier over the course of the rest of your life without giving up great tasting, satisfying food.